One of the countries dominating the headlines of global news lately is North Korea. As Kim Jong-un raises tensions and rattles his nuclear saber, the rest of the world is attempting to determine if this is a egotistical show of power for the benefit of all observers (as with previous leaders) or if there is real intention behind the rhetoric. Just this morning Pyongyang has warned that Tokyo would be a primary strike target if war were to break out, or if their test missile is downed; they’ve even moved their missile launch pad into position. 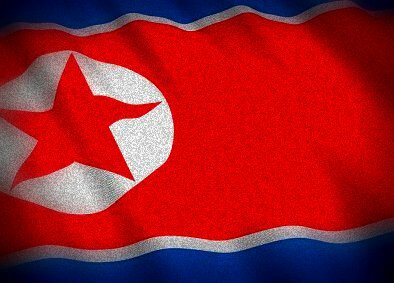 Regardless of outcome of these provocations, I know that the bulk of the North Korean population will suffer. North Korean mainstream “news” consists of images of military parades in the immaculate capital city of Pyongyang; but the reality is that most of the population live in rural North Korea, which is subject to severe food shortages and extreme poverty. As shortwave radio listeners, we have the distinct advantage of being able to listen directly to the case of North Korea. We can actually hear (and analyze for ourselves) the North Korea propaganda directly from the source. Note that it’s not uncommon for the Voice of Korea to unexpectedly go off air, likely due to power shortages: this fact is much more suggestive of the of general conditions in the country than the “news” itself. This entry was posted in Broadcasters, News, Podcast, Recordings, Schedules and Frequencies, Shortwave Radio, What's On Shortwave and tagged How to hear the Voice of Korea, Kim Jong-un, North Korea, Podcast, Propaganda, Recordings, Shortwave Radio Recordings, Voice of Korea, Voice of Korea English Schedule, Voice of Korea Shortwave Schedule on April 12, 2013 by Thomas. It could be a challenge, though I’ve never tried listening to VOK in the mid west. It’s certainly a challenge here in the eastern US. Otherwise, you will increase your chances dramatically with a good tabletop receiver or SDR combined with a decent outdoor antenna. Perhaps readers in the mid-west could comment. The 18:00 GMT transmission to Europe could hardly be heard here in Germany: On 13,760 kHz Radio Peking was much stronger. By comparison to 15,245 kHz I could identify their interval sign below Radio Peking. Their news started at 18:08 GMT with music till then. There have been some very odd transmissions from them recently form a technical standpoint. Today on 15180khz there were two languages going out at the same time. When I checked other transmissions it was also the same.